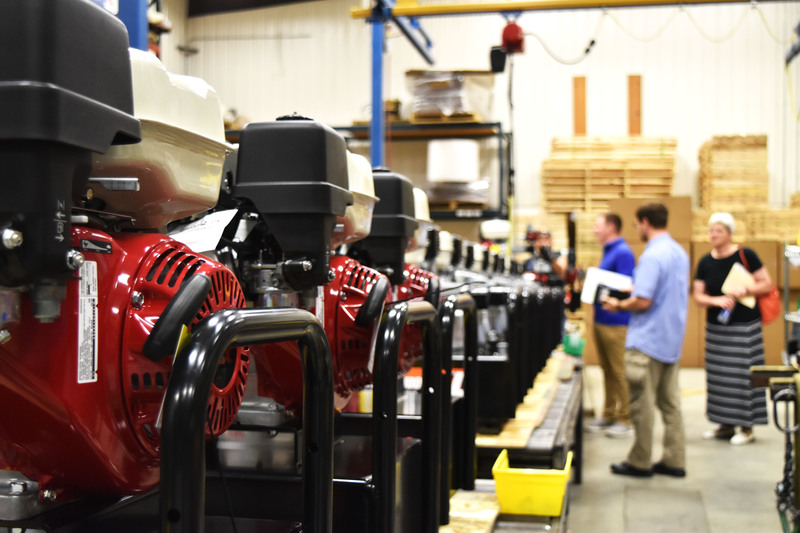 K&M Manufacturing is a division of Great Northern Equipment Distributing, Inc. and produces more than 2,000 products for the hardware, lawn & garden, rental, agriculture and power equipment industries. Specializing in custom replacement tractor seats, K&M has since expanded their product line to include suspensions, cab foam kits, warning light systems and much more. 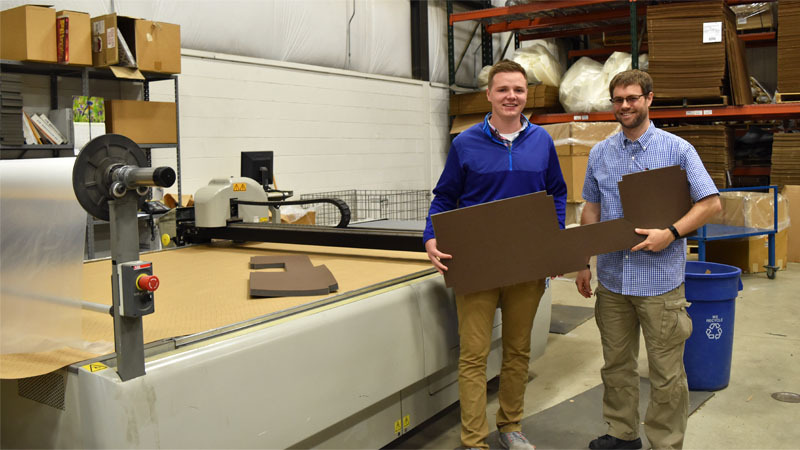 When fabricating these products, K&M uses laser cutters which require nesting software: a program that automatically and efficiently arranges the desired quantities of individual parts to be produced on sheets of stock material. By using part geometry from CAD files to output CNC code, K&M can control their cutting machines with exact precision. It was just earlier this year that K&M’s laser cutter was still connected to a computer from 1998. They needed someone who could help transfer the files to a modern system and integrate those files to work with the new cutter. That’s when K&M decided to hire Manufacturing Engineering intern Harrison Woelfel. Harrison Woelfel is a junior studying Mechanical Engineering at Michigan Technological University. As K&M’s first intern through SciTechsperience, he moved back to the rural town of Bird Island, Minnesota, for the summer -a major transition from his previous internships in the corporate sector. Woelfel has two years left of school before he graduates. He would like to have at least one other internship and is curious to explore more of the differences between small and large companies. I Secured Three Internships Through SciTech, and You Can Too! Categories Select Category Current Events Employer Resources Internship Feature Internship Spotlight SciTech Student Resources Where Are They Now?